The Millennium Monument is a 68m high column which opened to the public in 2005 (5 years too late?). 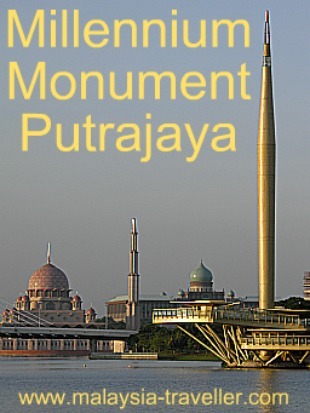 It is located on the waterfront in the centre of Putrajaya. From a distance it looks like a giant pencil standing on an oil rig but is designed to be in the shape of the hibiscus flower when viewed from above. A multilevel platform wraps itself around the base of the column. You can walk up this platform but you cannot go inside the obelisk itself. As you walk up this ramp you pass a series of engraved glass panels which trace important milestones in Malaysia's history in chronological order. Each panel relates to a year in history and there is information on the key event which occurred that year together with an illustration. It is nicely done and I imagine the glass panels must have been quite expensive. 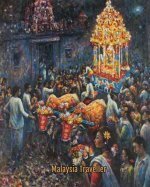 - 1766 Founding of Kuala Selangor as the state capital of Selangor. - 1806 Beginning of the print media era with the establishment of the first newspaper, the Prince of Wales Island Gazette. - 1930 Chenderoh Hydro-Electric power Station built. Looking to the future, there is a time capsule concealed in the base of the monument containing a message from former Prime Minister, Tun Dr. Mahathir bin Mohammad which will be unearthed in the year 2020. The Millennium Monument is a good place to take photos of some of Putrajaya's elegant bridges or to watch the firework displays that take place on various holidays. The Lake Garden Café next to the Monument is a good place to enjoy a relaxing drink and snack while watching the sunset over the Putrajaya Lake. The waterfront park near here is where several of Putrajaya's major annual events take place such as Floria Putrajaya , Malaysia's answer to the Chelsea Flower Show, which is held in July each year. 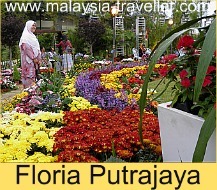 More than a million people attended Floria 2014 show over 9 days. The Putrajaya Kite Festival is also held here but has not been scheduled for the past few years.The Putrajaya International Hot Air Balloon Fiesta also took place here but from 2017 onwards it has been renamed MyBalloon Fiesta and moved to KL. However you can still see the morning mass balloon flight in Putrajaya. You can find details on the MyBalloon Fiesta page. 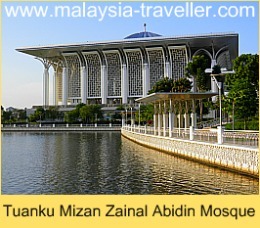 I recommend strolling along the lake side to take a closer look at Tuanku Mizan Zainal Abidin Mosque. This splendid mosque was completed in 2009 and has a stainless steel dome (it is sometimes nicknamed the iron mosque or steel mosque). It is even bigger than the nearby Putra Mosque. - It uses ultrasonic technology to repel birds. As you walk in this area you will see many of Putrajaya's impressive Government Ministry buildings. 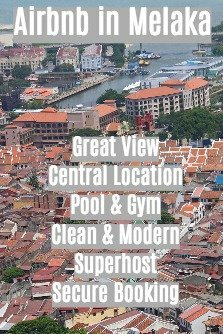 A location map can be found on the Top Putrajaya Attractions page.